Dolls are creepy. From their glazed eyes to their pull-string phrases and frozen-time tweeness, they live so deep in the uncanny valley, they’re buried in our subconscious. And this funny, off-kilter and wildly inventive multimedia show is full of them. 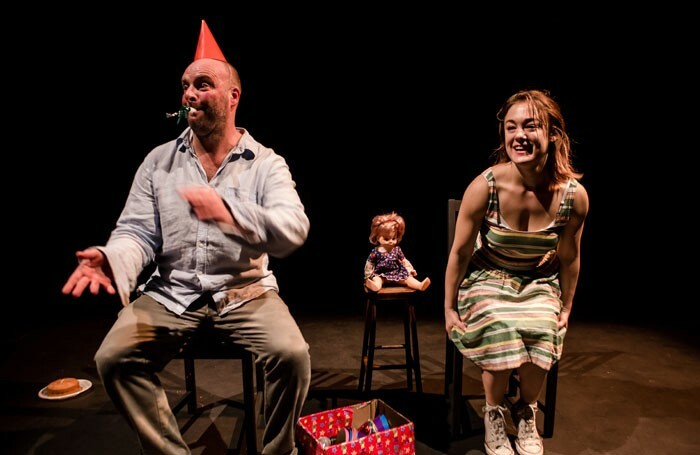 Co-creators Nigel Barrett and Louise Mari drop us, a tiny audience, into a black-box space, give us baby dolls and anatomise the sad, scrappy beauty of human life. Our seats rumble along with stomach gurgles and heartbeats. 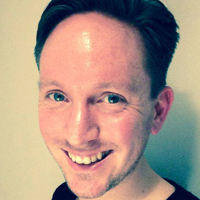 The show is skilfully performed by Barrett and Jess Latowicki (superb in the recent Tonight I’m Gonna Be the New Me). They’re marionette-like, drawing parallels between the dolls they blankly trail around and our daily rituals. The narrowing light as Barrett blows out a birthday candle is suddenly forlornly moving. Each time the back wall slides open, we get a different landscape. Mortality lurks behind every deftly handled, splintered moment – from the personalised body charts silhouetting Barrett and Latowicki to the grainy videos of a seaside childhood projected behind a sand-sprinkled doll holding a spade. At a time of swingeing arts cuts, we should be grateful to the Oxford Samuel Beckett Theatre Trust award, which went to The Body this year. Support for work of this calibre is worth shouting about. Lose yourself in its giddy weirdness.